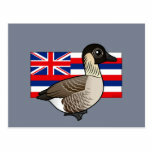 The Nene, or Hawaiian Goose, is species of waterfowl endemic to Hawaii. 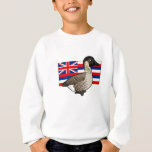 Today these geese are naturally found on the islands of Maui, Kaua'i and the Big Island. 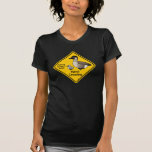 The Nēnē is the state bird of Hawaii. Unfortunately, the species is in trouble, and its threatened conservation status makes it among the most rare species of goose found on Earth. 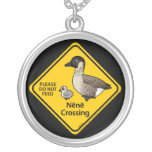 In 2012, there are about 800 Nene living in the wild, plus another 1000 in captivity. 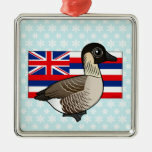 Hawaiian Geese breed successfully in captivity; breeding programs were instrumental in saving this species from extinction when the population was at an all-time low of 30 birds in the early 1950's. 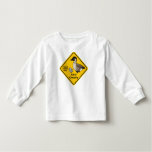 Males and females share similar plumage, though males are about 10% larger than females. 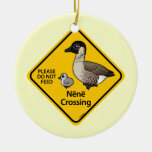 Nēnē have dark heads and grey bodies; the dark striping on their buffy necks is distinctive. 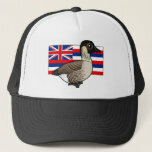 The Hawaiian Goose is listed as Vulnerable on the IUCN Red List and was last assessed in 2012 by BirdLife International. The overall population of this species has increased from a low of perhaps just 30 birds in the mid-1900s to over 2,000 individuals in 2011. The majority of the population outside Kaua'i does not breed successfully in the wild, so the effective population size is very small and consequently the species is listed as Vulnerable.